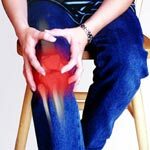 Knee Tendonitis – How To Deal with Jumper’s Knee Condition? 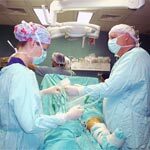 Arthroscopic Knee Surgery Procedure – 7 Important Things To Know! When the pain and discomfort associated with serious knee injuries can no longer be managed, arthroscopic knee surgery may be necessary. 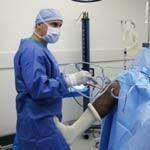 This relatively new procedure works to repair knee injuries in a way that is minimally invasive. Surgeons make a series of tiny cuts on and around the knee, then a microscopic camera is inserted so that all damage can be repaired. Everything from arthritis pain relief to torn tendons can be aided with this procedure, so here are seven important things that you need to know going in. Knee manipulation under anesthesia refers to the practice of putting a patient to sleep in order to manipulate the knee to promote proper flexing and functionality. 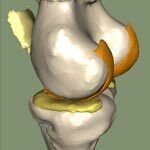 This practice is typical for patients who have had knee replacement surgery and who have not yet obtained full and proper or expected function within 8 weeks after their initial operation. Meniscus tears are a very common injury. Torn cartilage in knee symptoms can be caused by everyday activities and often, especially in a small meniscus tear for example, the source of injury isn’t even apparent. Depending on the size and location of the tear, your health care provider may recommend surgery to repair the condition. Torn Cartilage in Knee Recovery Time – What To Do? If that torn meniscus you wrote off as a strained knee has you down and out, you are probably wondering how long it is going to be before you can run another 5K. Torn cartilage in knee symptoms are sometimes painful and can prevent you from engaging in daily activities before, during and after surgery or treatment. Meniscus Tear Symptoms – What To Pay Attention To? Knee Clicking When Extending and Bending – What To Do? Wondering why your knees are playing you a capella tune while flexing and bending? Knee clicking is very common and is most often harmless. The knee is a moving joint and sometimes it gets noisy. However, knee clicking can also signal a more serious and often painful condition such as torn cartilage in knee or a tear in the meniscus or a torn ACL. If you have injured your knee or have knee pain while doing the activities of daily living, a knee brace may be for you. 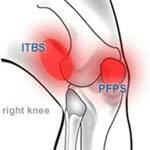 CTI knee braces protect against rotational movement that can cause a meniscus tear. If you have meniscus pain, however, you should consult a doctor as this condition can require surgery. 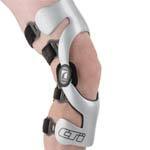 You can purchase a readymade hinged knee brace or you can opt to have one custom made. Off-the-shelf CTI knee braces come in different sizes. 1. A popping sound is one of the most common torn ACL symptoms, and this may be loud enough for others who are nearby to hear as well. This pop is extremely unsettling, and is a sign that your ACL has torn or suffered extensive damage and you should seek medical treatment right away. 2. 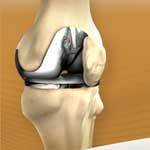 Patella surgery may become necessary if you have severe knee ligament pain and instability. 1. 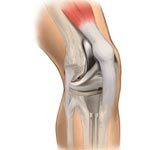 Range of Motion Exercises – Range of motion exercises may help torn ACL symptoms to get your knee back in good condition. These exercises will increase the ability of your knee to move without any pain or difficulty. 2. 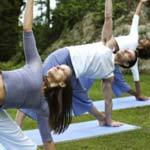 Hamstring Stretches – Hamstring stretches are one of the important ACL rehab exercises. You can modify this exercises according to your ability and comfort level, so it is a great one to start with. Knee Ligament Pain after Running – What Is Causing It? 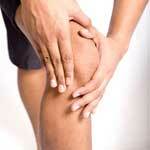 Knee ligament pain after running can be caused by a number of different things, some minor and some more serious. Torn ACL symptoms can cause you pain after running, and this can be a serious condition that requires medical attention and may need surgery to repair. Knee strains, on the other hand, may only require ice, elevation, and rest for a few days to resolve. The severity of the pain, and the effectiveness of over the counter medications and home remedies, should determine whether your pain is caused by a minor issue or is a problem that may become worse without treatment.